Paul Rowland, Part time hobbyist game developer making games for as long as I can remember. iPhone, Android and Blackberry games using Unity3D, Cocos2d and Xcode. 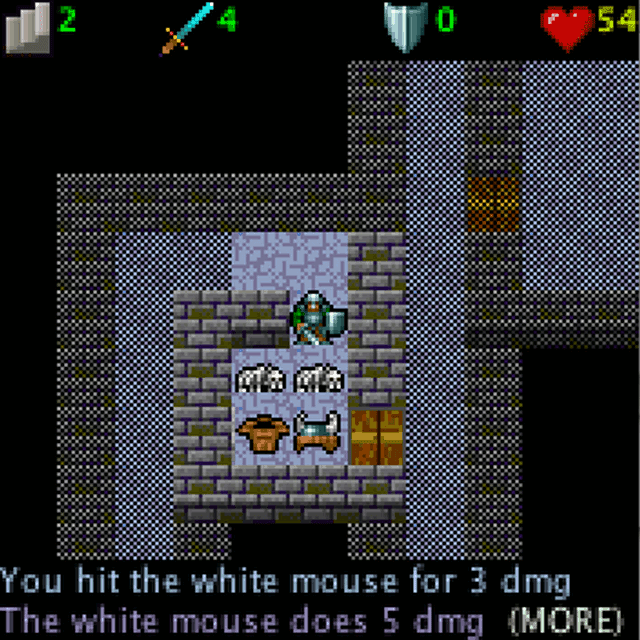 Have been updating the J2ME Roguelike, Rogues Lair I started a while ago. It wasn't quite as finished as I remembered, so have decided to add some more features and stuff. Nice. But better post updates, because we can help u find bags. Cheers Fox, Guys, much appreciated, will get some more features n' fixes in to make it worth the while testing. Oh, i think it's so stupid to ask something after 6 years, but can anyone re-upload it? Part time hobbyist game developer making games for as long as I can remember. iPhone apps, games and game design using Unity3D, GameSalad, Cocos2d and Xcode.